Everything in this soup is roasted in the oven, so you don't need a load of pots and pans. 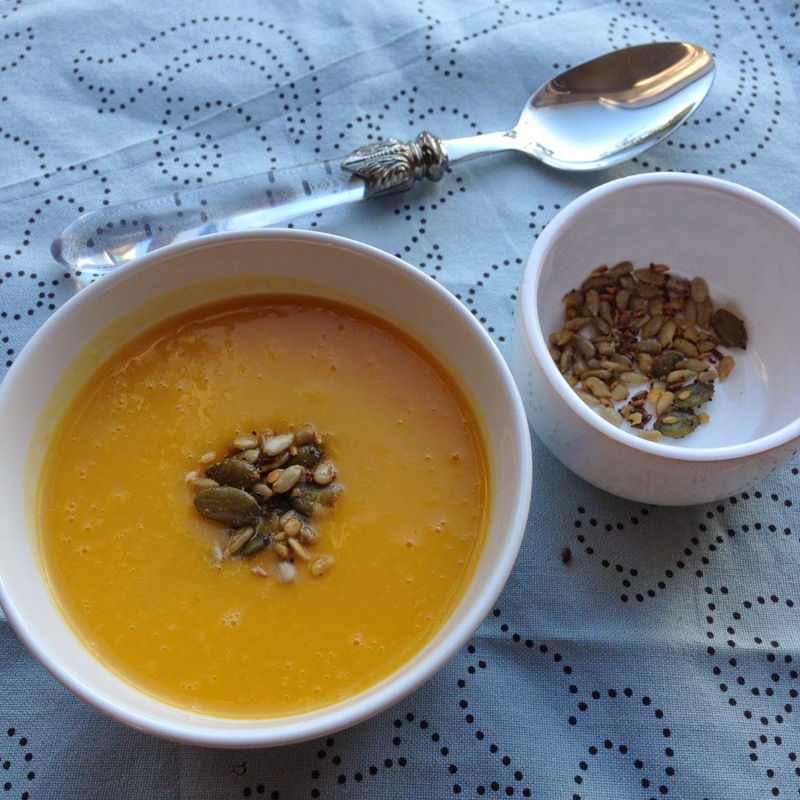 Using a blender reduces the vegetables to a lovely puree in seconds so you can have a gorgeously delicious soup with very little fuss. Smoked garlic adds a lovely warm backnote of flavour and it's pretty easy to get your hands on too. 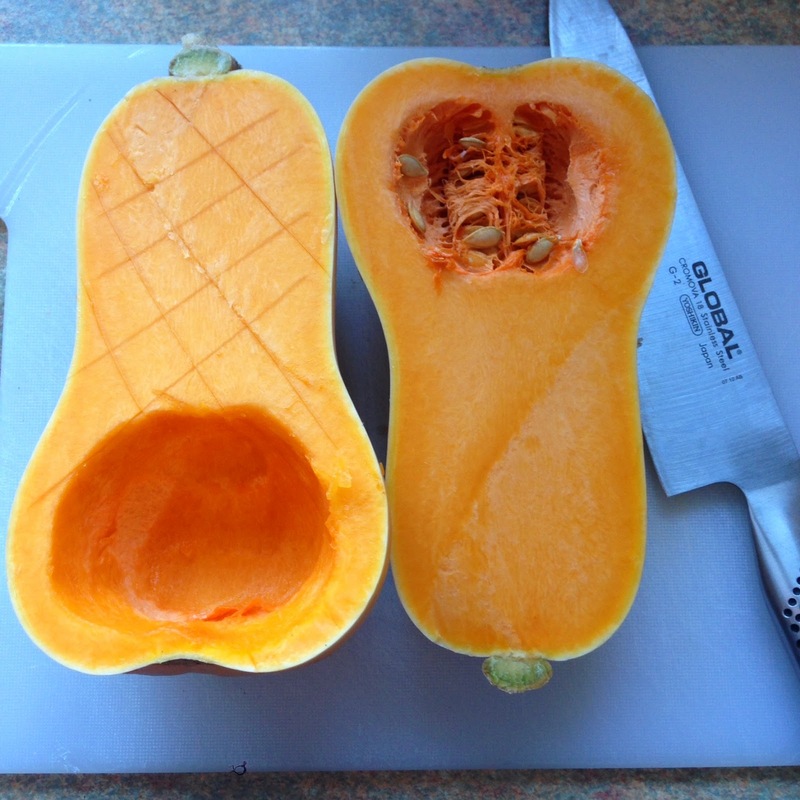 Using a very sharp knife, score a criss cross pattern into each butternut squash half. 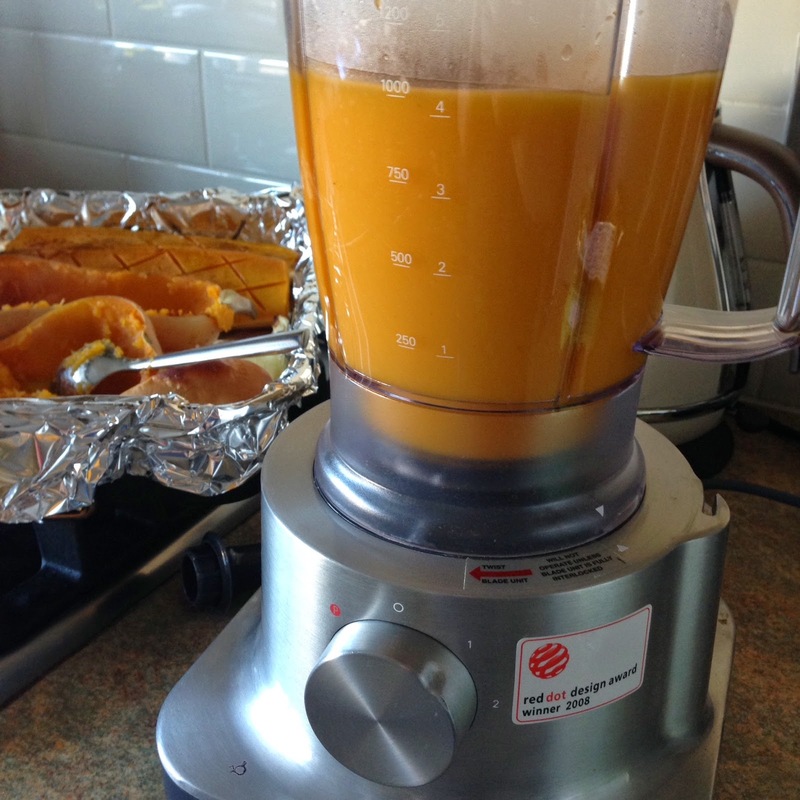 This makes life so much easier when you're trying to scoop the cooked squash into the blender. 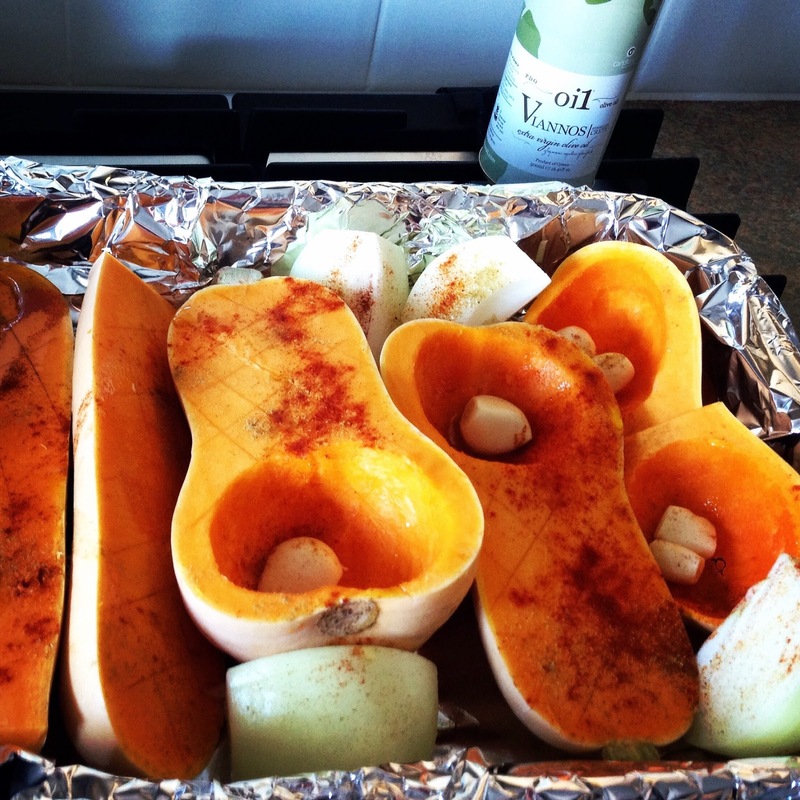 Pile the halved butternut squash into the tin, pop a clove of garlic into each hollow and tuck the onion quarters into the spaces around the tin. Drizzle the lot with the oil and sprinkle with the smoked paprika, cumin, salt and pepper. 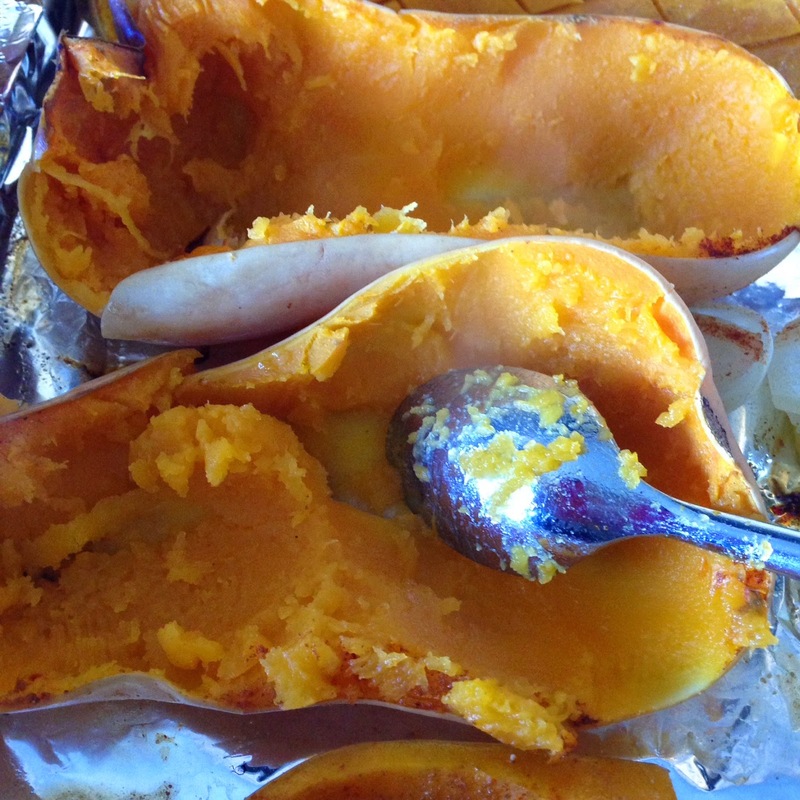 Roast for 45 minutes until the butternut squash is very tender and crushes with the pressure of a spoon. Remove the tray from the oven and allow to cool for at least 20 minutes before you touch the roasted vegetables (unless you have asbestos fingertips). It's gadget time. 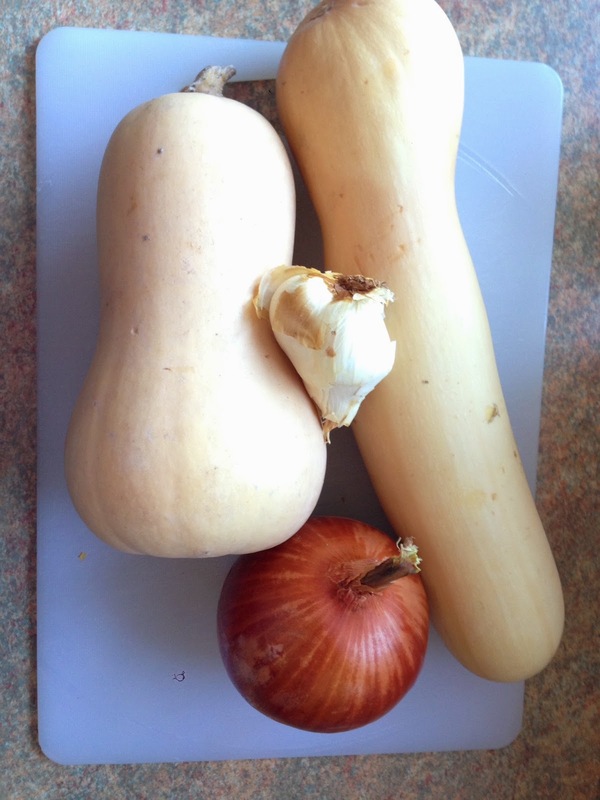 Break out your blender and scoop half of the butternut squash into it, followed by half of the garlic, onion and stock. Whizz for about 30 seconds until it has transformed into a smooth, silky soup. Pour into a pot and repeat with the other half of the veg. Taa-daah. You've just made soup. If you want to posh it up a little bit, then you could toast some seeds to sprinkle on top for a little bit of crunch and extra flavour. 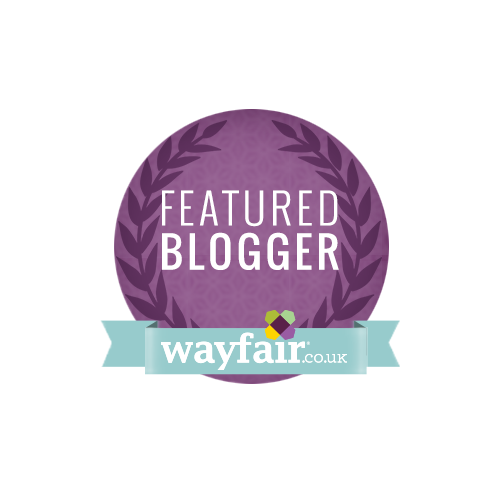 This is where you can customise the flavour to suit you. As I'm not a huge lover of heat, I used some leftover dry rub from my shoulder of pork which is sweet and spicy. I put a scant drizzle of oil into a dry pan, added 2 tablespoons of seeds (mine were a mix of pumpkin, sunflower, linseed & poppy seeds) and a teaspoon of the rub. 5 minutes in the pan and the kitchen smelled heavenly. They were delicious sprinkled over the soup and any leftovers would make a great addition to a salad. 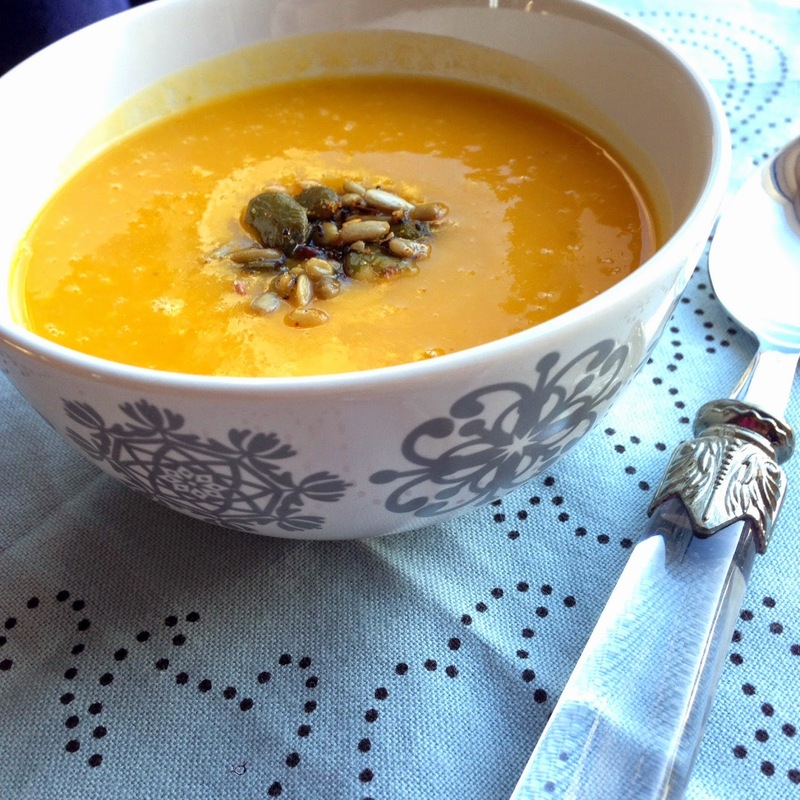 I love butternut squash soup, particularly when it's been roasted, though I (very) roughly chop it and then whizz the skin and all, the ultimate in lazy soup making lol!